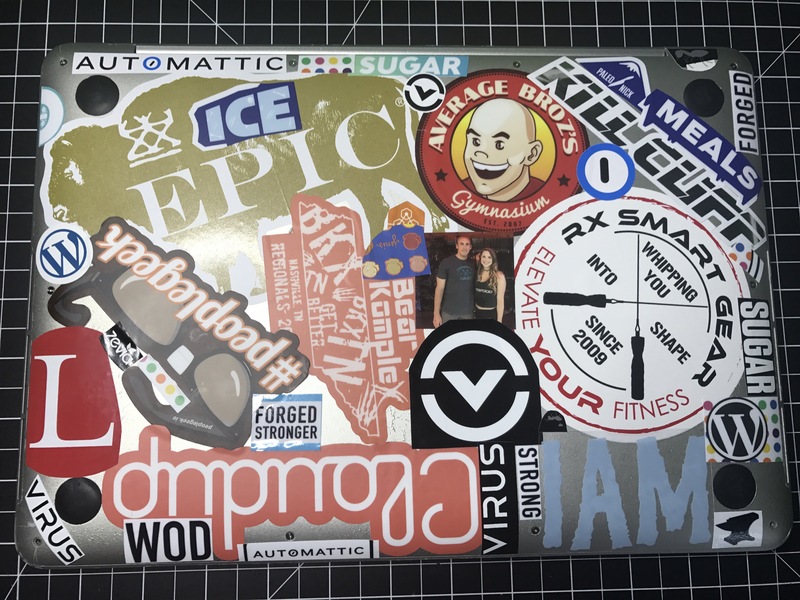 A couple of months ago I started applying stickers to my old 4-year Automatticaversary laptop. After collecting a bunch on recent trips I was able to get the top and bottom pretty well covered. 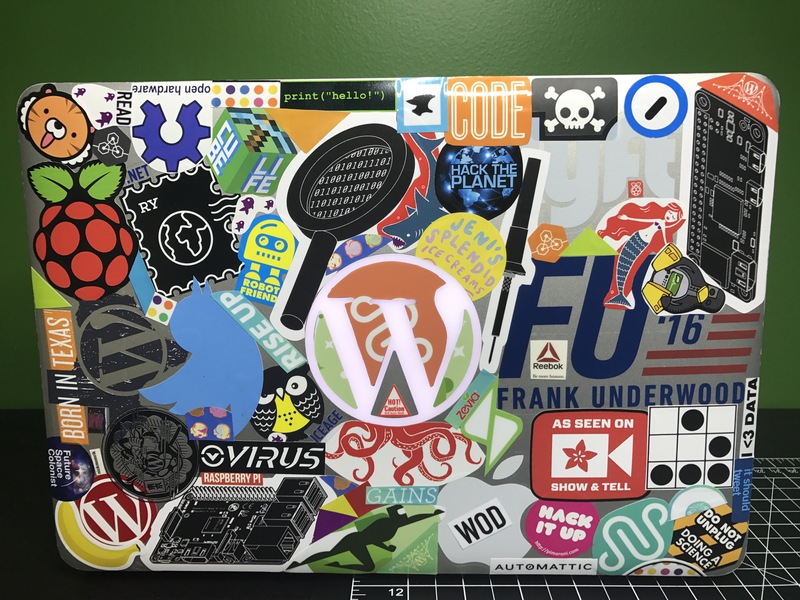 I think my favorites are the Raspberry Pi stickers I bought from the N O D E shop.